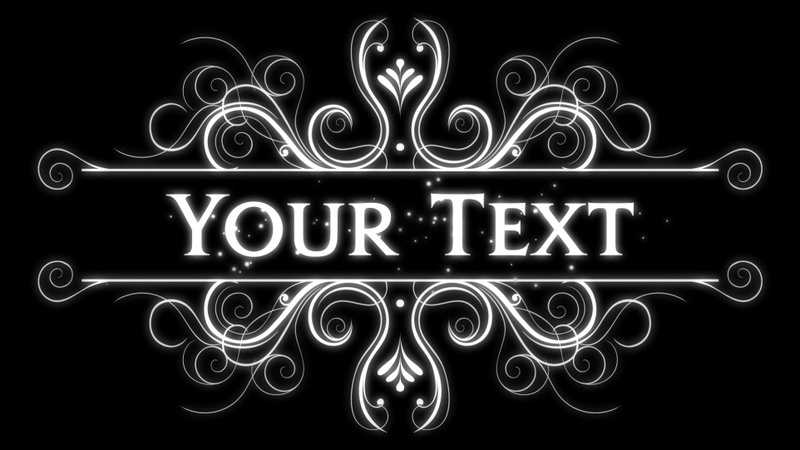 Your text is displayed in the middle of an ornate motif which grows onto the screen, and has a similar look to a monogram. This design is perfect for projection as an 'animated gobo' as the design doesn't extend beyond the edges of the screen. Perfect for displaying bride and groom names at weddings. The font used in this design is Jupiter Small Caps. If you would like to use this in your own designs, it is available here. Please Note: The customised preview above is a simple mock-up of how your animation will be laid out and doesn't include effects such as 3D text or animated backgrounds. The text in your finished animation will match the appearance of the text in the sample video.